Post-Hospital Syndrome: Is Inpatient Stress Reduction the Answer? A recent piece in the New York Times caught my eye for its excellent layman’s primer about a post-acute condition that, although known, often gets overlooked in many quality initiatives: Post-Hospital Syndrome (PHS). Data show that it may be the reason for up to 70% of the readmissions of patients whose original admission was for heart failure, pneumonia, or COPD. PHS is a term first used in 2013 by Harlan M. Krumholz, MD in the New England Journal of Medicine. Krumholz used it to describe the temporary, vulnerable condition of patients after discharge that puts them at greater risk for generalized, adverse events that can cause readmission or death, for reasons that have nothing to do with the condition they were being treated in the hospital for. A leading hypothesis to explain PHS is, in a word: stress, while in the inpatient setting. Essentially, stressors such as frequent sleep disruption, noxious sounds, painful stimuli, mobility restrictions, and poor nutrition all conspire to create a post-discharge condition similar to post-traumatic stress disorder. The stress-as-a-cause hypothesis is based primarily on evidence about allostasis and the deleterious effects of allostatic overload. We’ve been writing a lot about improving patient safety and ways to reduce preventable readmissions. We’ve focused on the usual suspects: getting discharge planning right, making sure patients pick up and take their medications, following up to monitor patients so that seemingly small issues do not become acute. But what if the majority of the reasons patients get readmitted aren’t even due to the condition we treated the patient for in the first place? What if our safety initiatives have not been solving for the right problem? What then? Here are some thoughts about how hospitals could decrease the impact of stress, and therefore the number of readmissions potentially caused by PHS. Explain the condition to patients and families and ask them to watch for warning signs. Be clear that things such as not being able to sleep well after discharge, or feelings of anxiety are important factors to pay attention to. 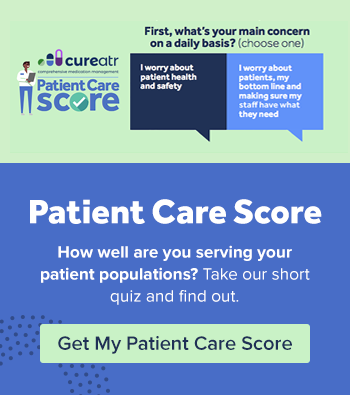 Provide written guidelines about how to identify signs of PHS, the actions patients can take at home, and the issues that signal the importance of contacting their care manager or primary care physician. Consider prescribing prophylactic meditation or yoga with a list of local providers. For the elderly and less ambulatory, ask home health providers if they can provide chair yoga or meditation instructions during their visits. Are midnight blood draws really necessary? Can you eliminate some of the beeps and other mechanical sounds on the unit that are audible to patients? Do you have enough staff coverage to ensure patients can get assistance for toileting and other needs? Are you able to provide music that can drown out some of the less pleasant sounds on the unit? As an industry, so often we are following processes that have been in place for decades and don’t even recognize their negative impact on patients. Yes, they are done with the best clinical intent. But if they aren’t essential to the care protocol and they are upsetting to patients as they try to rest and heal, maybe it’s time to make a change. It will keep patients better fed while inpatient, can improve their path to healing, and may even send your patient satisfaction scores through the roof. A great blueprint is the Good Food, Healthy Hospitals Initiative in Philadelphia. Sixteen hospitals have now signed a pledge to offer healthier and more sustainable food and beverage options to patients, staff, and visitors every day. Temple University Hospital Episcopal Campus, one of the initial pilot sites, had its highest Press-Ganey scores ever, after implementing the program. There are many ways to do this, from redesigning patient rooms with cheerful color and lots of light, to providing views of nature out of patient room windows, to adding creativity and color to the hospital’s walls. For example, Tucson Medical Center’s Healing Art Program was implemented to help patients heal in surroundings that inspire, encourage and cheer. Research shows that appropriate art in hospitals can improve health outcomes. Some hospitals allow patients to bring their own clothing and pajamas instead of wearing hospital gowns. Others offer meditation techniques; St. Anne’s Hospital in Fall River, MA offers weekly, 30 minute sessions for patients with a cancer diagnosis and their caregivers. Still other hospitals allow patients to receive visits from their pets, or pet therapy animals. All of these options can reduce anxiety and get patient minds away from their pain or a stressful diagnosis. Even with comprehensive instruction and education and a discharge process that goes smoothly, patients still miss many of the signs that they are headed for a fever, mental health issue, or other condition that could land them back in the hospital, or worse. That’s why follow up is more important than ever. 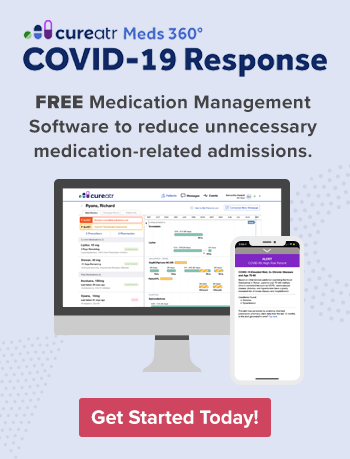 Whether it’s a care management app, telehealth, phone visit, or home health provider, contacting patients at the right intervals post-discharge, depending on their underlying condition, is vital to ensure they are not at risk for readmission.